Because of the work of Rep. Bennie Thompson (D-Miss. ), the Evers’ house at 2332 Margaret Walker Alexander Drive in Jackson, will now become a national historic landmark. 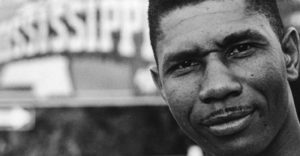 The house where Medgar Evers’ was fatally shot was built in the first planned middle-class subdivision for African Americans in Mississippi after World War II. Thompson has been working on the honor for Evers for over ten years.